P1-Gaming e.V. 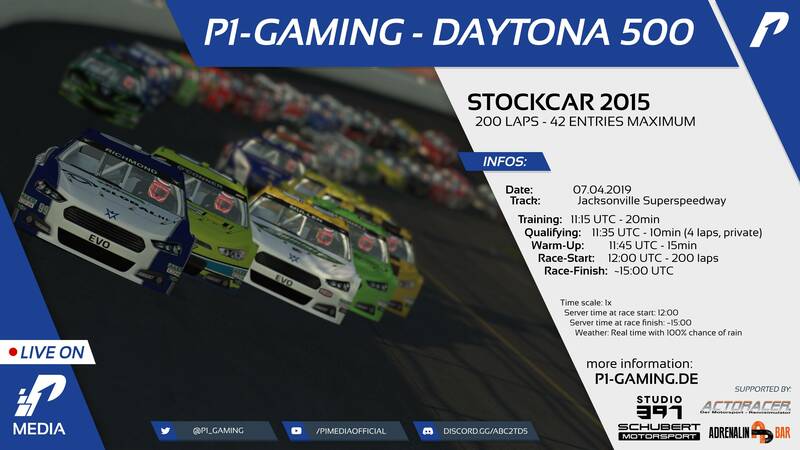 - Funevent - Daytona 500 | P1-Gaming e.V. Discussion in 'Special Events' started by Ricardo Edelmann, Mar 20, 2019. "Daytona" 500 Event! Pick your favorite number and sign up in the race thread! 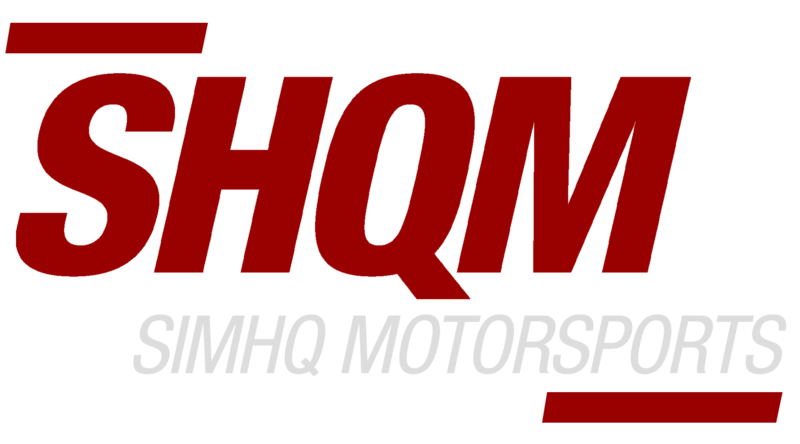 We will use official liveries and slightly altered oval rules (altered pacecar lenghts etc) so we can all just jump into the cars and have fun! After a short official training session we will go into a private qualifying of 10 minutes with a limited amount of timed laps. This is followed by a Warm-Up session of 15 minutes to finally practice your moves on the track with traffic before we get to the start of the race! So be part in an epic fun battle for the win in the first ever P1-Gaming e.V. Daytona 500. Wann geht der server online? Denn der server der aktuell online ist, ist mit einem anderen Passwort geschützt als der, der im anderen Beitrag angegeben ist. Server sollte bald da sein. Der Server momentan ist nur zum Testen für uns intern. Noch ein paar Tage Geduld. Balint Erdei, Markus Broch, Arnold Hausmann and 1 other person like this. Daniel Hahn Administrator Staff Member P1 gaming e.V. Because this is a fun event, can I request a car setting? Wird das Tuning der Wagen fix standardisiert oder kann man sich dabei austoben? hey guys every time i load in to the server it keeps putting me in the in field with no way of getting to the track and if there is i cant find it. Garage spots are on the infield. You gotta search for the exit. it's about 1/3 into the Pitlane! lol yeah found it after being dq'd about 30 times due to wrong way lol..